Product Description: Boxed meal kit with teriyaki sauce, rice, carrots and peas. 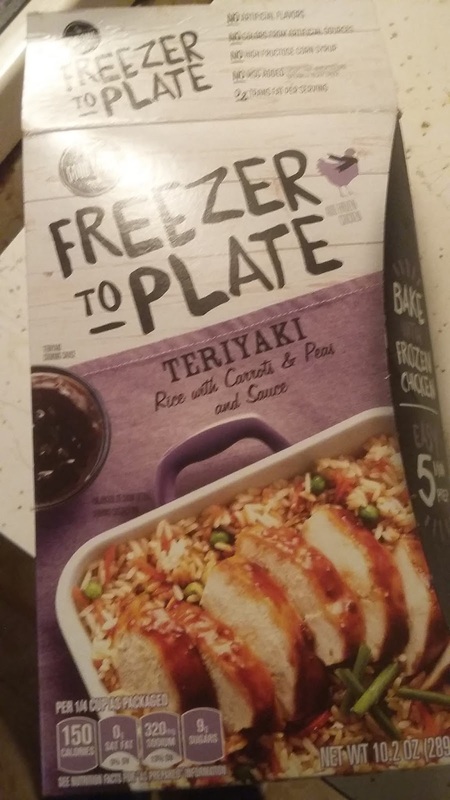 The contents of the box are added to frozen chicken breast then baked in the oven for approximately 50 minutes. I purchased this dinner kit at one of our local grocery stores for $1.50. My wife wound up using it last night when she made dinner.